Eat delicious foods while dieting. Sweet but non-sugar desserts. | Otaru Dining Co., Ltd. Replace daily meals as healthy food options. To have delicious foods enriches our lives. Losing weight does not means overeating. "Eat well, Feel well, Be well leads to beautiful life". has increased by twice while our meal became healthy. Finally overeating of carbohydrate began to be viewed with suspiscion. This has resulted in the introduction of low-carb diets as a treatment for diabetes and weight-loss in Japan and the West. 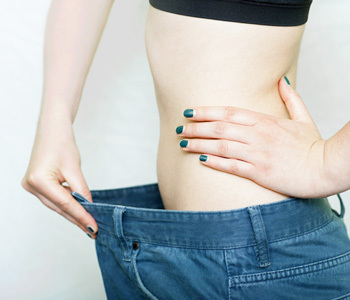 By reducing carbohydrate intake, the body constantly burns fat which stimulates weight-loss. We highly recommend our low-carb desserts to those anxious about diabetes and obesity as well as to those who desire sweets while dieting. <Eat delicious foods while dieting. You can eat our desserts much because their sugar levels are strictly controlled under the supervision of nutritionists. 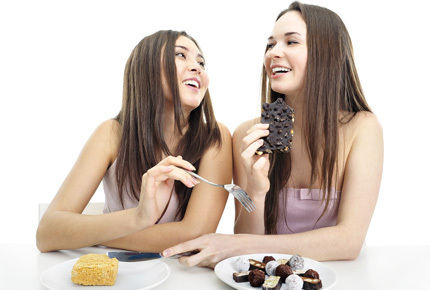 Our desserts are like a dream; sweet but non-fatting and effective for dieters. All our desserts are homemade with carefully selected ingredients from Hokkaido. They must be delicious and recommended. Only fresh ingredients from Hokkaido are used in our Otaru Dining desserts. Even within Hokkaido, Otaru is known as a valuable company to produce delicious desserts and this is where we have proudly established our factory. We use not only dairy products indispensable to sweet-making, such as milk, cheese, butter and fresh cream, but also melon, honeysuckle, kidney beans and black soy beans. We produce them only with carefully selected Hokkaido's ingredients, and that is the reason why we became so popular. To maintain their figures and health, low-carb diets are popular not only amongst actresses and models in Japan but also amongst celebrities in New York and London. In Japan, they are already popular in a variety of high-end department stores, hotels, traditional Japanese inns, sports gyms, fitness clubs, medical facilities and institutions, and online heath and beauty sites. 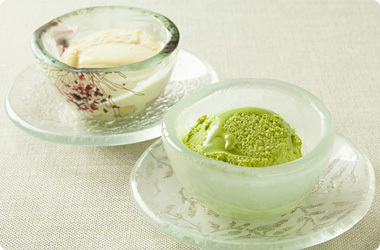 Uji-matcha from Kyoto is kneaded into the ice-cream, creating a subtle and refreshing flavor. In order to compliment and make optimal use of the fresh milk flavor, we use the subtle and refreshing uji-matcha from Kyoto. A low-carb shortcake made with blue meat melon aka "tsuki no shizuku" produced in Tsukigata, Hokkaido. 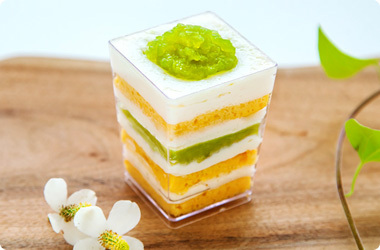 In addition to Hokkaido produced fresh cream and melon jelly being infused into the sponge cake made from soy flour, the cake is topped with ample melon jelly which create, creating a refreshing, summer desserts. 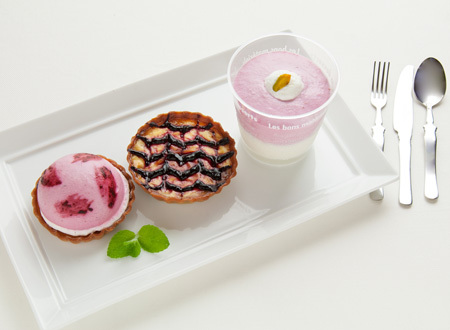 Please enjoy the elegant aroma and taste of our low-carb short cake, "tsuki no shizuku". Without altering its taste, we reduced the carbohydrate content by 5% from similar products. 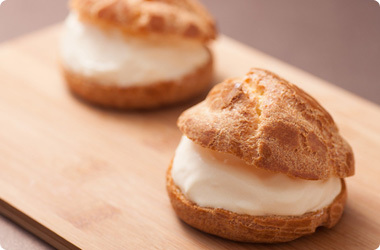 In the cream puffs, the umami (5th category of taste, corresponding to the flavor of glutamates) of milk was added by folding the special quality custard into the soy flour dough. Cream puffs are an indispensable desserts and Otaru Dining became able to offer a low-carb option. 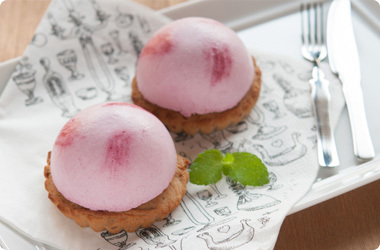 The secret to its popularity is the rich taste of cheese and the refreshing flavor of Hokkaido Berry (Haskap). A unique and crumbly texture is created by using flour made of bean curd lees in the cookie dough. Moist and savory cookies with melt-in-your-mouth provides an unprecedented harmony. 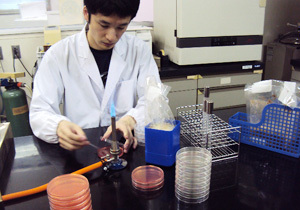 <Taste is the most important.> Making tasty is a challenge for functional food products. We got the know-how to maintain superior flavor through uncountable trial manufacturing and taste testing. All of our products are homemade which means our pastry chefs make by hand. and their foods contains large amounts of high-protein. 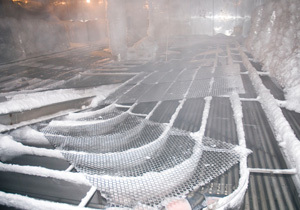 Due to this technology even without the use of preservatives, we are able to maintain the taste and flavor of foods containing large amounts of high-protein ingredients that are easily damaged by flash freezing. In order to carefully control carbohydrate levels in our products, we commit the expertise of professional nutritionists to closely oversee the carbohydrate content. To make customers enjoy our non-fattening desserts, we are always working to develop new menu items. In the last 5 years, more than 300 new products have been developed. 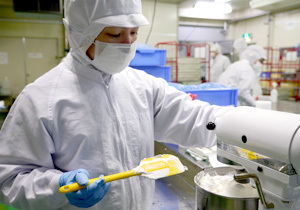 Otaru Dining's factory uses HACCP (Hazard Analysis Critical Control Point ) standards in our food production process. In order to provide our customers with safety and high quality, a special room for control was established to thoroughly monitor them. Under the supervision of medical institutions, when low-carb diets were still relatively unknown in 2008, Carbohydrate Restriction Otaru Dining propelled as a pioneer of frozen low-carb food manufacturering through research and marketing. We have a company-owned manufacturing plant and a research facility, working together in menu development and manufacturing.